On the face of it, Maria Lassnig is a pretty boring title for an exhibition of paintings by Maria Lassnig, but it allows me to sum up her work with a rhetorical statement very easily. 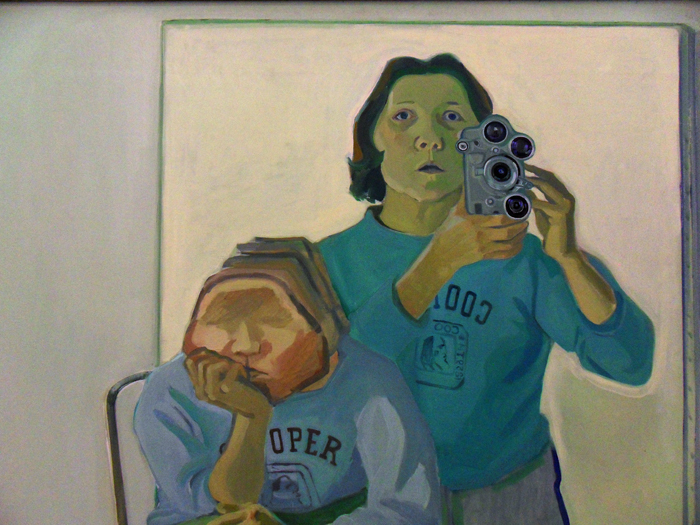 Maria Lassnig only painted Maria Lassnig, she was her subject, her muse and her method. 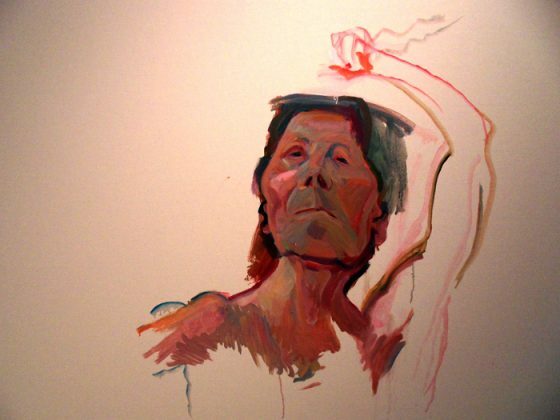 Her approach to portraiture has in many respects justified the practice’s continued existence. 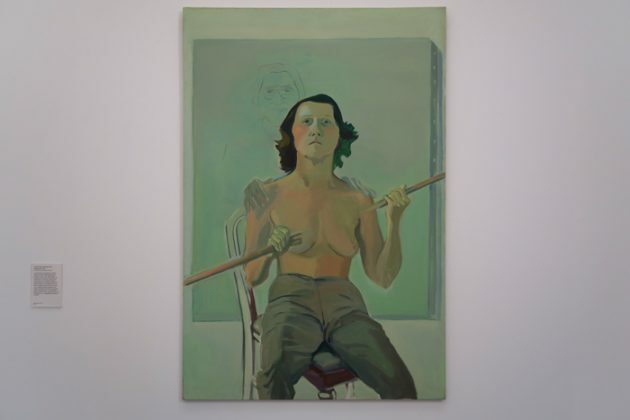 So Maria Lassnig is, in fact, an incredible title for this exhibition of Maria Lassnig’s introspective self-portraits that question everything about an art form that often struggles to justify itself. 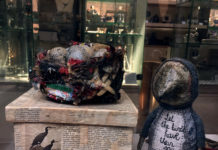 I will try my best not to use her name too often through this article, but it is incredibly difficult to detach this work from this artist. 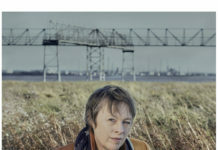 Part of the reason this body of work has been included in Tate Liverpool’s Summer Programme is how it relates to Francis Bacon, and to painting in general, which are the key themes of this programme. 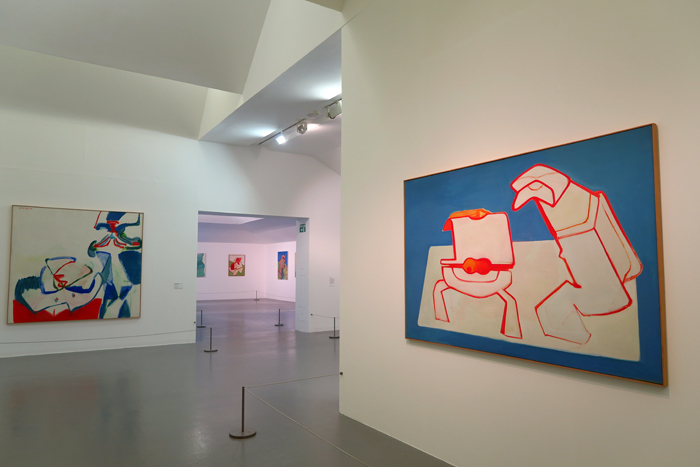 Oddly, Lassnig’s work stands up against Bacon’s pretty well. It’s clearly a precursor, setting the scene for the star of the show as it were, but these self-portraits actually do a much better job of questioning the value of painting than Bacon’s, which question the value of modern and contemporary art more generally. 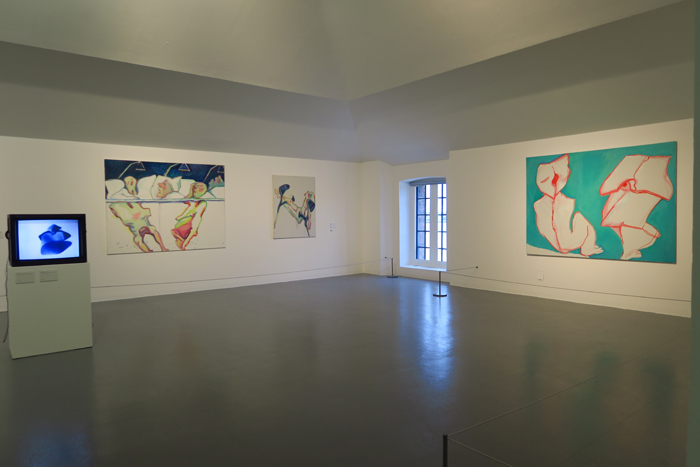 I pick up on that distinction because Tate Liverpool’s Artistic Director, Francesco Manacorda, suggested the title for the programme could well be “Why do we need to paint?” And if that’s the question, Lassnig is a much better answer than Bacon. Her work focusses on herself, but more widely plays with the human form and how artists choose to represent it. 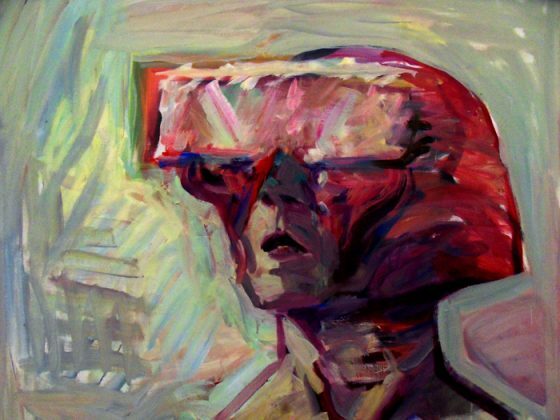 That choice is taken away by Maria Lassnig, who only painted what she physically felt. The most apparent example of this is how she almost always appears hairless, because no matter how hard she tried, she couldn’t feel her hair, and couldn’t justify painting it. Where mirrors get involved, there is a different story. 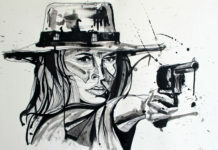 The artist, on moving to America, found new standards that were expected and she hit back. When critics and peers didn’t take to her style or approach to painting she became aggressively sarcastic and started painting her figure in relation to itself, using mirror images as ‘what you see’ and her recognisable distorted faces as ‘what I see’. 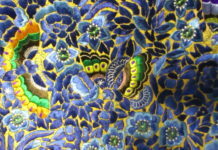 The retrospective exhibition spans over seventy years of the artist’s life and career, but is far from chronological. 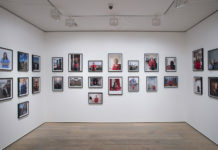 It picks on certain series of work that might not be a perfect representation of her career, but definitely shows the politics of her work at its best. 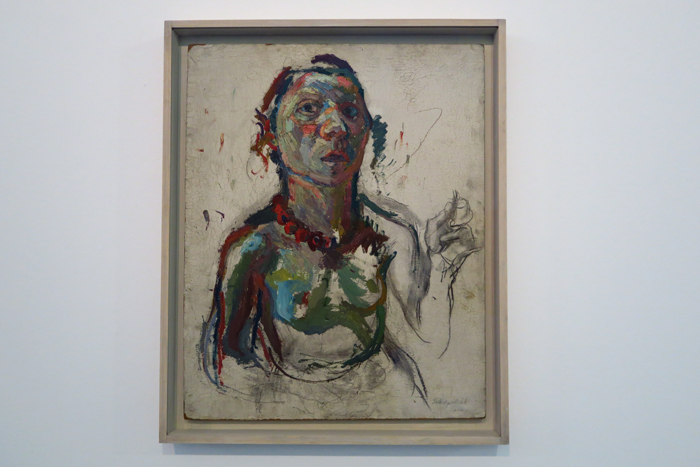 The final work in the show is a painting of her disembodied shoulders, with a worn down emotion across her face, and her wrong arm extending to the canvas. 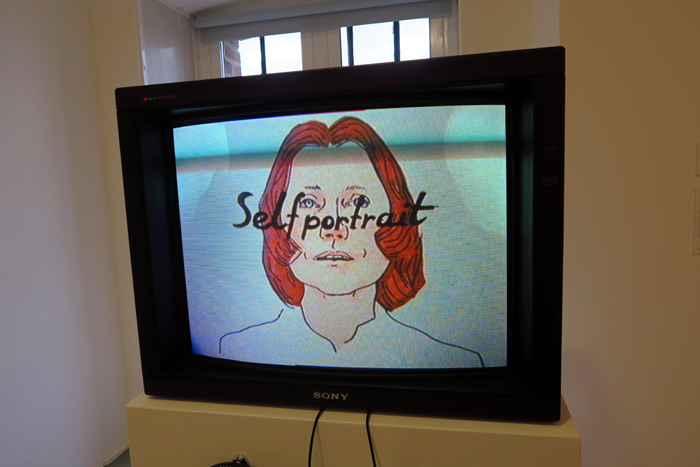 This mirror image of the artist is her last bold statement against the institutions who disrespected her questions. 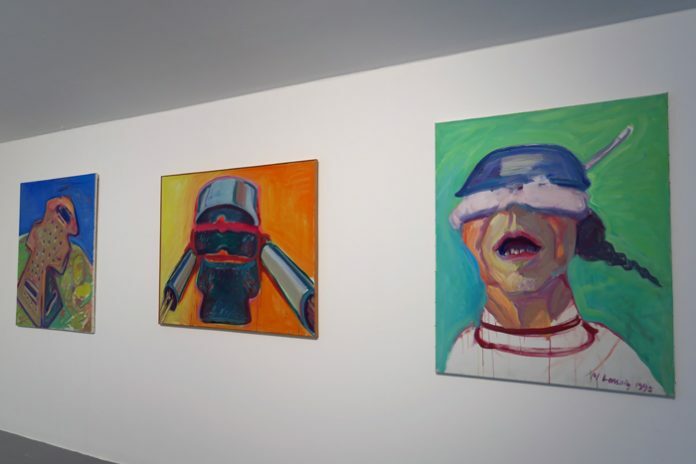 She takes up her pen, and she paints what she feels, which is unburdened by her body – all she has left is her vision, her voice and her pen, and that is all Maria Lassnig will give her audience.